The letters tout his record in Congress, but critics view them as re-election campaign materials sent at taxpayers' expense. LEWISTON — Former Mayor Larry Gilbert has seen a lot of odd things in politics over the years, but even he was surprised recently when his congressman sent matching, unsolicited letters to his two adult daughters. One letter touted U.S. Rep. Bruce Poliquin’s record in targeting sexual harassment on Capitol Hill, while the other hailed a provision in a tax but bill that doubled the credit for child care costs. Since neither of his daughters has lived at home in a decade, an indication that Poliquin had dipped into an old mailing list in his quest to target potential voters, Gilbert called it an outrageous abuse as the Nov. 6 election approaches. “What bothers me is he’s using these letters to campaign at taxpayers’ expense,” Gilbert, a Democrat, said Monday. 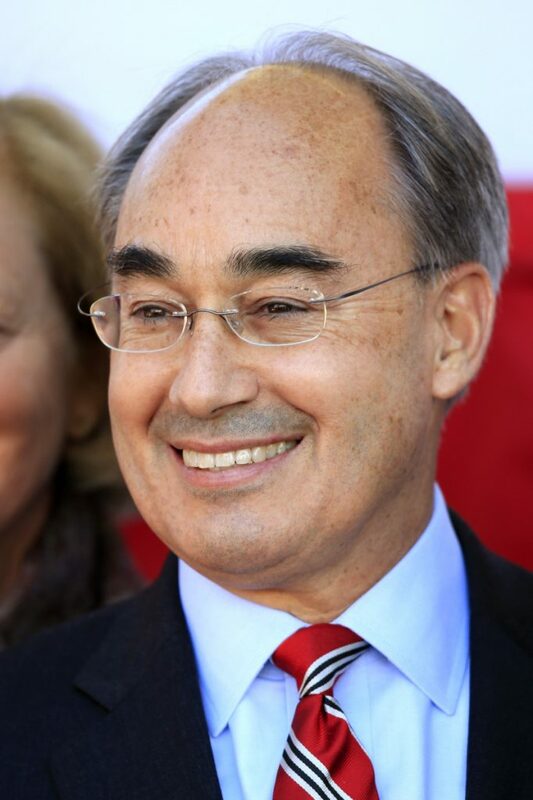 Among the many Mainers who received franked mail in recent days is a woman in Androscoggin County who got three unsolicited letters from Poliquin in one day last week. The letters she received discussed the congressman’s opposition to a carbon tax, his support for making able-bodied adults work if they want to receive food assistance, and the need to tackle the opioid crisis in Maine. To Poliquin’s office, it is simply a way to communicate with constituents, a choice he has made to spend administrative money on mail instead of something else. 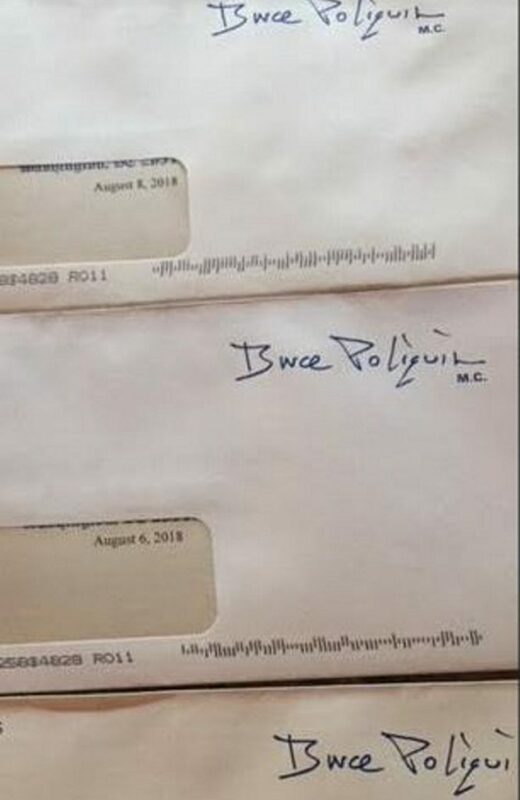 Two years ago, Poliquin spent more taxpayer money on mass mailings to his 2nd District constituents than any other member of the House during the final weeks leading up to an August deadline for sending off any more pre-election letters. It appears the two-term Maine Republican did not scale back this time around. In recent days, just before the Aug. 8 deadline, Mainers have received unsolicited letters from the congressman on issues ranging from new tax credits for children to the farm bill – all of them sent through a historic quirk called “franking,” which allows top government officials to send mail merely by affixing a signature rather than paying for a stamp. A chart showing how much Poliquin has mailed in each three-month period since he arrived in Washington shows that he sent out more pieces of franked mail in the six weeks after July 1, 2016, than he has in the entire rest of the time he’s been in Washington. He said each member of the House receives an allocation for office expenses – staff salaries, office rent, travel reimbursement and more – and can choose how to divvy up the money. Poliquin’s share is $1.37 million annually. For Poliquin, who spent $83,000 on mailings in August 2016, franked mail to constituents is an especially big priority. Several studies in recent years have found that members of Congress often send out more franked mail in the third quarter of election years than they do during any other three-month period of their terms of office, even though a deadline that bars use of mass mailings falls sometime in early August each year and makes the quarter much shorter than the rest. What that means is that constituents are much more apt to find unsolicited mass mailings in their box during July and early August of a congressional election year. House rules say any mass mailing of more than 500 letters that relies on franking must first receive the approval of the House Commission on Congressional Mailing Standards before going out. Copies of each mailing are kept on file for public review. They also have to follow “stringent regulations, including font type and size, word choice, format, image selection and others,” Conley said. Still, that Poliquin spent more than $150,000 on franked mail during the six weeks after July 1, 2016, more than any of the other 434 members of the House, means something. Roll Call reported in 2016 that members of the House involved in competitive races – those hailing from places such as Maine’s 2nd District – spent nearly three times on franked mail as their colleagues who did not worry as much about winning re-election. The finding suggested “a link between the taxpayer-funded service and members’ re-election hopes,” Roll Call said. Poliqun is engaged in a re-election fight this year against Democrat Jared Golden, a state lawmaker from Lewiston, and independents Will Hoar of Southwest Harbor and Tiffany Bond of Portland. 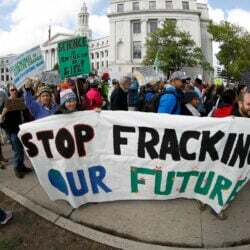 Franking has come under fire many times in the past as an unfair, costly relic that gives incumbents an unfair advantage. That is one reason the House imposed a blackout period for its use in mass mailings during the three months leading up to congressional elections. Congress abandoned franking entirely for 18 years after the Civil War, when people became fed up with its abuse. The Senate’s website includes a history of franking that mentions stories of senators “who routinely franked their laundry home,” and mentions one Pennsylvania senator two centuries ago who “attached a frank to his horse’s bridle and sent the animal back to Pittsburgh” on the taxpayers’ dime. The House opted in 1995 to lump franking costs into a new consolidated member allowance that permits each office to decide for itself how to use the taxpayer money it gets to operate annually. The 90-day pre-election deadline for mass mailings has been in place since 1999. There is still controversy, though. This year, U.S. Rep. Jacky Rosen, D-Nev., introduced a bill – “The No Free Campaigns for Congress Act of 2018” – that she said would rein in franked mail during election years. It would bar use of the frank for content that is purely related to campaigns, prohibit mass mailings during election years and cap spending on franked mail at no more than $10,000 per member each year. “Members of Congress should be using their office budgets to fight for their constituents and serve the people they represent, not help themselves get re-elected,” Rosen said in a prepared statement. She has not attracted a single co-sponsor for her bill.